My memoir, THE MEMORY OF ALL THAT: George Gershwin, Kay Swift, and My Families Legacy of Infidelities will be out in a pretty new paperback edition from Broadway Books in a couple of weeks. A question I have been asked a few times since the book's publication last July is about my motivation and indiscretion in writing about family history. Why did I delve into such personal stories about my grandmother Kay Swift, in particular? My answer each time has been the observation that unlike most family stories, numerous versions of the central events in my family's history have been in the public view all along. The events and personalities have been scrutinized and gossiped about and picked over for decades, in newspaper stories, magazine articles, gossip columns, cultural histories, and biographies. Countless people think they know all about my family members. And so what I have written is in many ways a counter-story, a push back against the distorted narrative that has been in public view for a very long time. I know that what I have written is an act of loyalty, love, and devotion. I also know that certain people are both judgmental and truly uncomfortable about my choices. Last week I came across a particular letter, dated Saturday November 9th, 1940, one of hundreds of letters from my grandmother to her lifelong friend Mary Lasker, to whom she wrote nearly daily from the ranch in Oregon where she had lived for a year by then with her second husband, a cowboy. 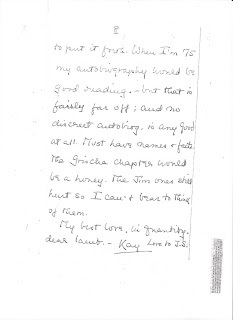 At the time of the letter, Kay was 43, thirteen years younger than I am now. I read through all the letters a few years ago, but I didn't recall this particular passage, which seems especially pertinent at this moment, and I am very glad I found it. 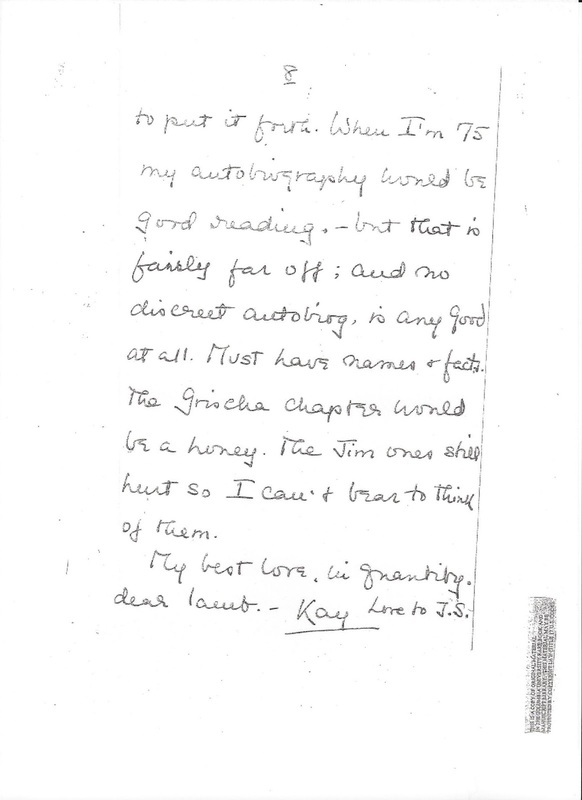 She ended the eight-page rambling and reflective letter to her closest confidante with this passing thought: "When I'm 75 my autobiography would be good reading -- but that is fairly far off; and no discreet autobiog. is any good at all. Must have names & facts." My second novel, The Music Lesson, is about an IRA splinter group's plot to steal a Vermeer from the Queen. In the course of the story, the mysterious circumstances of the unsolved theft of paintings from the Gardner Museum in Boston are explained. (Make that "explained" for the literal-minded among us. It is a novel. But my fictional explanation may well be on the money.) 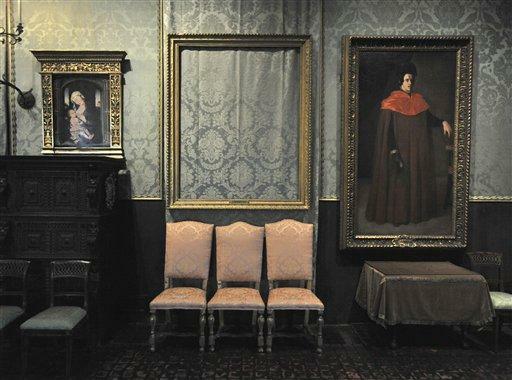 The 1990 theft (the largest single property theft in American history) of thirteen paintings and objects has never been solved, and today the Gardner continues to exhibit the empty frames of the missing masterpieces. Last week, the FBI swarmed the Manchester, Connecticut home of "reputed mobster" Robert Gentile (aren't all "mobsters" invariably "reputed"?) , who federal prosecutors apparently believe has a link to that heist. Gentile, 75, is being held without bail pending his federal trial on drug dealing charges. The FBI used a ground-penetrating radar device as well as dogs in the search. Most intriguing is the site of a filled-in swimming pool on Gentile's property. While the search warrant was apparently for weapons, Gentile's attorney told the Boston Globe "We all know what they are actually looking for - and they are looking for the paintings." Evidence obtained that day is now being sifted. Obviously, they haven't found a cache of paintings. Yet. Readers of The Music Lesson, published in 1999, nine years after the Gardner theft, will recognize why this latest development is of particular interest to me. Saying more would be a plot spoiler. "The museum continues to offer a $5 million reward for information leading to the recovery of the artworks in good condition," museum officials said in a statement. "Anyone with information about the theft, the location of the stolen artworks, and/or the investigation, should contact the Gardner Museum." On its website, the museum also urges those in possession of the stolen masterpieces "to conserve them in recommended temperatures and humidity levels." 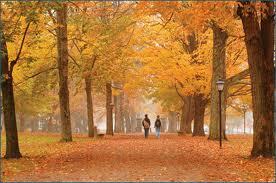 I am delighted to report that I have been named the next Richard L. Thomas Professor of Creative Writing at Kenyon College, a five-year appointment to teach both fiction and nonfiction writing workshops in the spring terms.